Most gamers have played their fair share of JRPGs (Japanese Role-Playing Games) over the years, but few of them have looked as visually stunning or felt so wonderfully magical as Ni No Kuni: Wrath of the White Witch. This PlayStation 3 exclusive is co-developed by Japanese studio Level-5, most famous for their Professor Layton series on the Nintendo DS. Along with anime company Studio Ghibli, who’ve achieved worldwide success with such films as Princess Mononoke, Spirited Away and Ponyo. 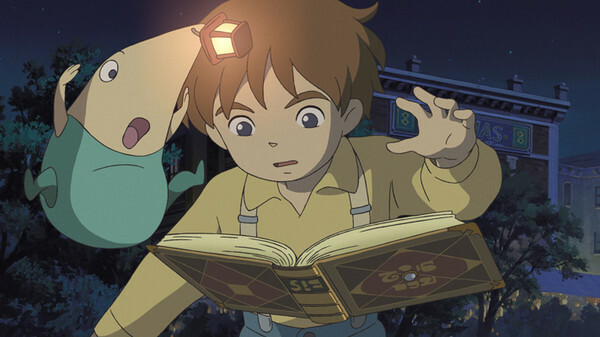 Ni No Kuni was originally released in Japan for the DS in December of 2010, then titled Ni no Kuni: Shikkoku no Madōshi (literally “Second Country: The Jet-Black Mage”). Simultaneously it was being developed from the ground up for the PlayStation 3, with the separate title of Ni no Kuni: Shiroki Seihai no Joō, (“Second Country: The Queen of White Sacred Ash”). The PS3 version hit the Japanese market in November of 2011 and now just over a year later Western gamers will finally be able to get their hands on a localised copy for themselves. Unfortunately due to translation issues there are currently no plans to localise the DS version, so for now Ni No Kuni: Wrath of the White Witch remains a PlayStation exclusive… take that, other platforms! The game tells the story of Oliver, a thirteen-year-old boy living in the quaint town of Motorville. When an unfortunate accident leads to him nearly drowning he is rescued by his loving Mother, Allie. Shortly afterwards she falls terribly ill and tragically passes away, leaving her Son heartbroken and alone. As he weeps, a doll she gave him magically comes to life, revealing itself to be a fairy named Drippy. The fairy informs Oliver that there is a parallel world to that of his own known as Ni No Kuni, where his Mother may still be alive. He also provides him with a spell book that allows its reader to harness the power of magic to enter the mysterious realm. 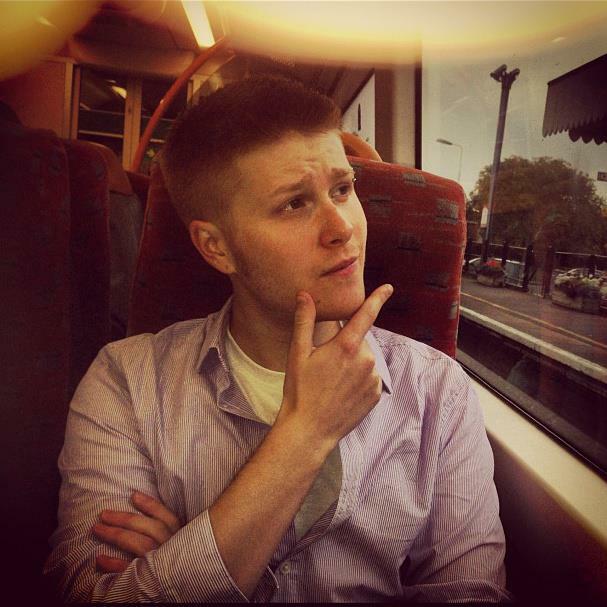 Once there Oliver explores his new environment, meeting and befriending alternate versions of many of the people he knew from back home as he scours the land in the hope that his Mother can be saved. 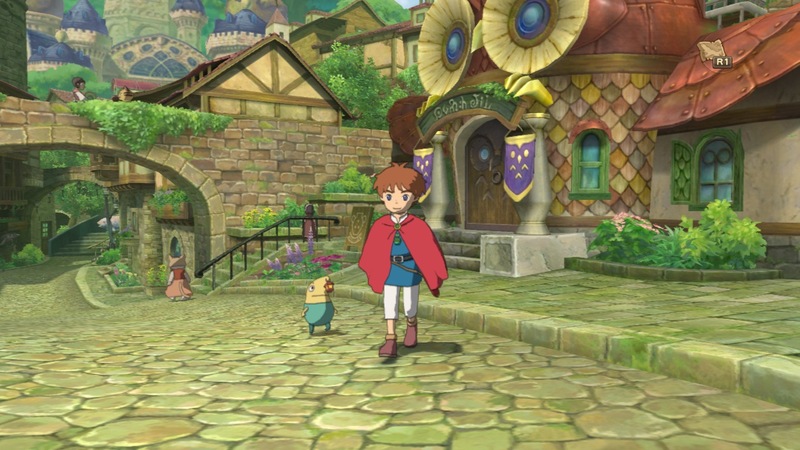 All manor of strange creatures dwell in Ni No Kuni, some of which can be tamed enough to join the player’s party as “familiars”, akin to Pokémon. Wild animals are visible on the world map and by getting close enough an engagement can be initiated. 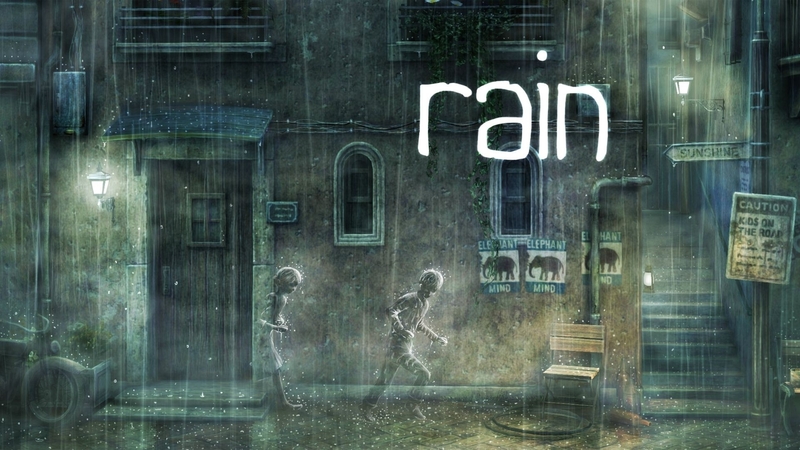 The game’s battle system is traditional turn-based RPG combat that mixes in elements of real-time execution. Although Oliver can fight in these encounters by using melee attacks and casting spells he can also employ the use of his familiars to aid him. Each character in the player’s party can have up to 3 active minions with them at any given time. Both these critters and the character they belong to will level up after each confrontation, even if they don’t actively participate in every instance. Any other cute little beasties can be kept either in a cage, accessible from the main menu (with a limited amount of space) or in a “familiar retreat” which are peppered throughout the world. Primary characters as well as familiars can be outfitted with a wide variety of weapons, armour and accessories. The former have one slot for weapons and two for accessories, while the latter have one for weapons, armour and accessories respectively. Each party member and minion have their own unique set of statistics that will improve as they level up, though hit and magic points are reserved for the human characters only. Various instructions can be issued during combat, with up to six orders activated for use at once. Players can use them to perform various attacks, cast spells, access items from their inventory and set tactics for teammates. Familiars have unique commands catered to their individual strengths, whether it’s wielding a tiny sword and shield or striking with bolts of electricity. Players can alternate between characters and familiars during battle in real-time and often overcoming the odds requires serious strategy, utilising your entire party effectively to prevail. I’m not usually one for JRPGs, at least not lately, but I am completely and utterly enthralled by the magic of Ni No Kuni. Firstly, it looks gorgeous! Studio Ghilbli’s animation work is second to none and the in-game graphics are like a beguiling modern take on that classic Wind Waker look, that at once fills me with a sense of nostalgia and adventure. Secondly the tale the game tells is touching and magnificently fantastical, doing an amazing job in capturing that sense of childlike wonder that really is all too rare these days. Lastly after the slew of intense shooters and gritty action games of the last year, the enchanting tone and turn-based gameplay of Ni No Kuni will undoubtedly be a soothing breath of fresh air, that I for one cannot wait to savour. 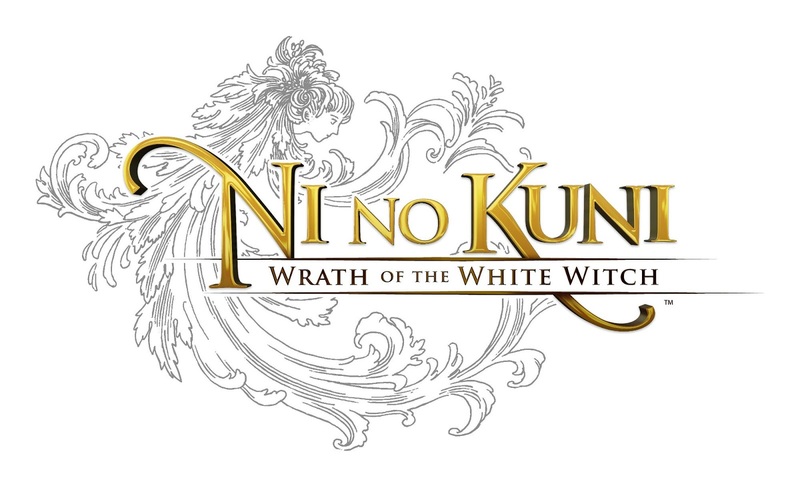 Ni No Kuni: Wrath of the White Witch apparates into UK stores on 1st February 2013 exclusively for PS3.